Having made technical advancements and adding new features in their material handling equipment in recent months, manufacturers are now eyeing sales in global markets. P.P. Basistha takes a look. Material handling equipment manufacturers aver that their new range of products launched will deliver higher levels of productivity and reliability. They will be positioning their products as per customer requirements in conjunction with the desired product support. At Conexpo US 2017, Haulotte showcased its new HT85RTJO and HT85RTJ Pro rough terrain Telescopic boom lifts. It also displayed its new Star 13 Picking & Star 20 vertical masts, HA46RTJ rough terrain articulated boom, HT67RTJ rough terrain telescopic boom, 6543A trailer mounted boom, 6543A trailer mounted boom, Optimum 1931 AC Electric scissor lifts and Compact 2632E scissor lifts. The New HT85 series of Rough Terrain Telescopic Boom comes with an outreach of 78 feet 2 inches; and an ‘Activ Lighting’ safe load system, claimed to be offered for the first time by the company for the global markets. The system features lighting on several points of the machine, making loading and unloading easier. The product also features Haulotte’s ‘Activ Shield’ bar 2.0, which is an secondary guarding system for the operator from an entrapment situation. The equipment has an optional dual load capacity. According to Haulotte, HT 85 can accommodate an extra 40% of the equipment weight. Oscillating axle, hydraulic differential wheel lock, high ground clearance and grade-ability upto 40% are the added features. HT85RTJ Pro which is a 4 wheel drive and 4 wheel steer machine also comes with similar features of HT85RTJO, including Haulotte Activ Screen, besides an on-board color monitor system and diagnostic system, Haulotte Stop Emission System, which regulates engine run time, reducing fuel consumption, pollution and noise. The company’s Star 20 vertical mast comes with high precision driving and smooth control, easy access to the platform and a dedicated anti-slip step and walkable plinth. There is an intuitive control box with battery charge indicator in the platform and quick machine and mobile pothole protection. For extendable reach, Star 20 has an extension deck of +16 inches. Apart from aerial platforms, Haulotte is also offering Telehandler which range from 3 Tonne to 7.2 Tonne capacity and offers maximum stability, unmatchable handiness giving operational flexibility, progressiveness and precision: in addition to its wealth of on-board technology. Haulotte telehandler (or telescopic handler) is also endowed with the power of a diesel engine and the versatility of its many accessories. Its general ergonomics improve visibility and allow easy maintenance. HTL 5210 is the latest addition to the Haulotte range and offers the best load rating for the 10 m segment with a lift capacity of 5.2 tonnes up to a height of 10 m, representing a maximum forward reach at 3.5 tonnes to 5.8 m with the stabiliser. Ideally suited for all types of applications in the heavy construction, mining, oil, port cargo handling, and recycling sectors, this telescopic handler is synonymous with optimal productivity. The HTL6508 and HTL7210 are extremely powerful "heavy load capacity" telehandlers with lift capacities without stabilisers for 6.5t up to 7.7 m for HTL6508, and 7.2t up to 9.5 m for the HTL7010. Ideally suited for safely handling bulky and heavy loads, the HTL6508 and HTL7210 are adapted in particular for extraction industries and civil engineering works and perfectly adapted for pick-up and carry operations. JCB India introduced three revolutionary world class product lines in the Material Handling segment in 2016, these are Telehandlers, Skid Steer Loaders and Super Loaders. With the Indian Material Handling Industry growing, these products were launched with the aim of replicating global best practices in India. These machines have been successful in various applications as they are a perfect combination of safety, productivity and versatility. JCB pioneered the concept of Telescopic Handlers in India known as the JCB Loadall, this machine has gained popularity in various applications in Agricultural Logistics, Construction, and Process industries. JCB India currently offers three variants of the Loadall – these are the Made-in-India 530-70 and 530-110 and additionally, we also have a 17m machine, which is the 540-170 for high lift and reach applications and is imported from the UK. Safety is of paramount importance today. Talking about safety, Mr. Singh says “The customer wants a productive and efficient machine without compromising on the safety aspect of the equipment and JCB has taken special cognizance of this need. We have invested in delivering machines that offer the best-in-class safety features along with unmatched performance. JCB Telehandlers also have Livelink, an advanced Telematics Technology fitted as standard. This revolutionary technology helps customers in fleet and maintenance management. Livelink ensures that apart from location, information regarding the Service, Operations and Security of the machine are available on smart phones or mobile devices in real time. Livelink also gives out SMS alerts in 11 different languages. Some of the key safety features that are being offered in JCB Telehandlers are as follows: ROPS / FOPS cabin, Load Moment indicator with alarm, Hose Burst Check Valves, Stabilizers and 4 Wheeled Drive for better traction. With all these features, JCB Telehandlers are fast gaining popularity in the Indian market. Caterpillar displayed its new TH 514 D telehandler at the event. The equipment features a three section telescopic boom and tier-4 final compliant engine. It has a 46-ft reach and is suitable for pick and carry operations. The Cat D series of telehandlers has new features like reverse object detection system and advanced display screen and reversing camera. Skid steer loaders are extremely versatile and compact equipment with a high level of maneuverability. 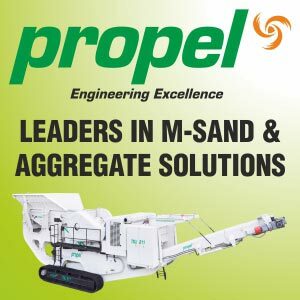 The equipment goes on to deliver immense value with its multiple attachments while working in urban infrastructure projects, both commercial and residential. The attachments assist in back filling at project sites, bringing debris out from the ground basement area for disposal on open surface. This is where the bigger equipment may find it difficult to work at basement levels. Owing to their compact design and maneuverability skid steer loaders can easily operate when working between pillars for clearing debris as in underground parking lots or underground metro stations and on narrow streets or roads. Being lighter and compact, skid steer loaders can be lifted easily with the help of a mobile telescopic crane and deployed on elevated metro or road corridors to undertake material handling functions as well during the course of construction. Attachments can add value by undertaking compaction or grading in the projects. Further, they can assist in maintenance as well. He adds, “Our skid steer loaders have higher levels of versatility owing to the options of attachments, such as backhoe buckets, grapple, hydraulic breakers, sweepers etc. Quick release couplers, as an optional item enables the operator to have higher availability of the machine.” The company has an active inventory of 1000 skid steer loaders and a network of 53 dealers with 118 touch points across the country. Case New Holland (CNH) India is looking to drive sales of its skid steer loaders based on its advanced features and higher levels of compactness and maneuverability. Mr. Shalabh Chaturvedi, Head of Marketing, CASE India says, “Built tough with more power and torque, our skid steer loaders deliver higher productivity and increase operator comfort. The cabs feature increased headroom and lap-bar width, along with improved forward, side, rear and overhead visibility to enable the operator achieve higher levels of productivity. Ergonomically positioned controls and industry-first side lighting makes the machines deliver higher volumes of work along with improved reliability and serviceability. Ease of operations which contributes towards higher levels of productivity is ensured by the controls, positioned for easy reach of the operator. The operator can choose between standard mechanical (hand- or foot-controlled) drive levers and electro-hydraulic controls. Optional Ride Control provides superior stability and operating speeds, regardless of jobsite conditions. Optional self levelling system keeps the bucket parallel to the ground when the loader arm is raised, reducing material spillage and making pallet handling easier. Easy access, daily service points grouped together and remote mounted filters makes it convenient to keep our skid steer loaders working to their maximum efficiency,” says Mr. Chaturvedi. Showcasing a completely new and innovative range at Conexpo was Terex Genie’s new AWP based on hybrid technology. Its compactness enables the machine to be deployed inside buildings. According to the company, the compact new Genie Z-60/37 DC and Z60/37 FE (Fuel Electric Hybrid) articulated boom lifts, have unrivalled terrain capability and can seamlessly transition from off road, hill climb to emission-free indoor use. It has a 59-ft 7in platform height, 36-ft 7in horizontal reach,227 lifting capacity and under 8 ton weight of the machines are lighter than its diesel version. On display was also the new Genie Z-62/40 with four-wheel steer option. The boom lift has a combination of “up and over” positioning and outreach capabilities. Four-wheel steering provides operators with the ability to steer the front and rear wheels at the same time, resulting in smaller turning radius and increased maneuverability in tight and limited access areas. Its platform height is 61ft and 11 inches, horizontal outreach is 40ft 11 inches, and lifting capacity is 227kg. Also displayed was Terex Genie SX-135 XC, SX 105 XC and SX 125 XC boom lifts. With the advanced material handling solutions, newer application requirements can be met, thereby increasing work productivity. OEMs will have to ensure the necessary product support for the sophisticated equipment so as to avoid downtime.